Ann Wright, a retired Army Colonel who resigned her post in the State Department in 2003 to protest the imminent Iraq invasion, is one of the most amazing Americans I've ever heard of, much less had the privilege of meeting. 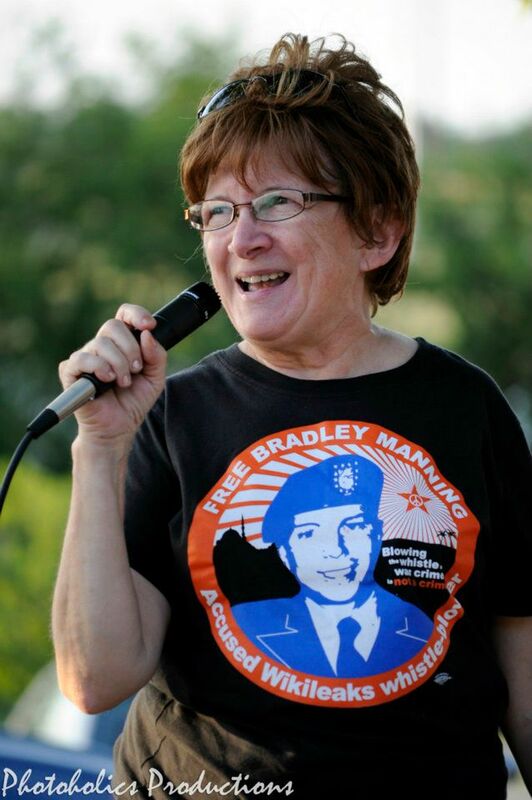 She spent most of August 2005 in Crawford with Cindy Sheehan (as I did, though I served behind the scenes doing tech work), serving as the manager of Camp Casey day-to-day operations. She was kind, cool under pressure, and maintained control of that whirlwind without being at all obnoxious or overbearing. Since then, she has continued to traverse the planet tirelessly, working to educate the public, to lobby elected representatives, and to be arrested again and again as she does civil disobedience to end the war and demand accountability of those who have caused so much death and destruction and left the entire world less safe. Now Ann has published a book, Dissent: Voices of Conscience, which includes her story, as well as that of others who sacrificed their careers or even risked their lives, not just to protest an illegal war, but to refuse to add their name or efforts to its perpetration. The web site for the book contains many essays by Col. Wright, the preface excerpted below, as well as videos of her appearances and reviews of the book, just a cornucopia of amazing information about the many political leaders, military officers and lawyers, soldiers, diplomats and other government workers around the world who have spoken out and refused to be complicit in the evil that was and is the war on and occupation of Iraq.